TonyMoly 19 Piece Mask Set Only $19.99!! (Reg. $45)- That’s Only $1.05 per mask! Score!! Hurry over to Macy’s and get this TonyMoly 19 Piece Mask Set for Only $19.99! (Reg. $45). It is valued at over $76!!! Keep in mind that this sale ends tomorrow, February 9th! 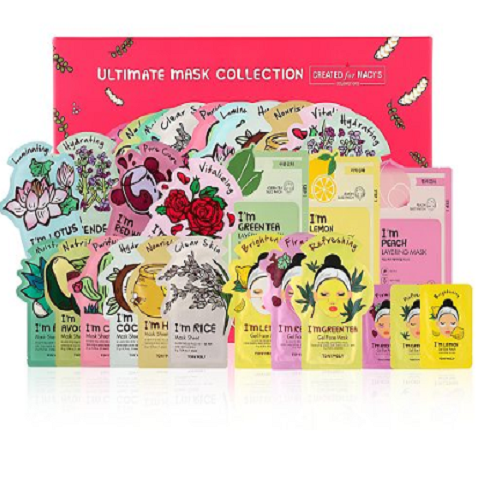 Grab this set to try out 19 different masks from TONYMOLY’s best-selling I Am line. That’s right, 1 box with 19 masks, making this set an awesome gift idea! Check out everything this set includes! !